December 17, 2013 – BOSTON — Don Nicholas, who has spent 30 years as a publisher and consultant in the magazine publishing industry, has released a free 100-page handbook titled Multiplatform Publishing Strategy as a followup to his 10-year-old book, Internet Marketing Strategy for Publishers. “Ten years and one tablet revolution later, my newest professional goal is simple: To help each and every publisher successfully cross the new digital divide,” says Nicholas. 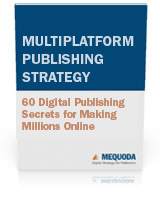 Multiplatform Publishing Strategy: 60 Digital Publishing Secrets for Making Millions Online documents a seismic shift of historic proportions in the publishing industry. Also included are the strategies behind some Mequoda clients’ success, including those whose website traffic has grown more than 100% in the past year. Some of these case studies include America’s Horse Daily, Mr. Food and the Biblical Archaeology Society. Specific strategies include uncovering assets you didn’t know you had, using different platforms to serve different members of your audience, driving traffic organically through SEO, and recycling content so that everything you produce has multiple publishing platforms. Co-authors of the book include chief content officer Ed Coburn, lead copywriter Mary Van Doren and managing editor Amanda MacArthur. “My team has spent hundreds of hours researching and documenting the most successful strategies and processes,” says Nicholas. Why is Mequoda giving away a 100-page book? “Ah, that’s one of the secrets you’ll learn when you read it!” says Nicholas. 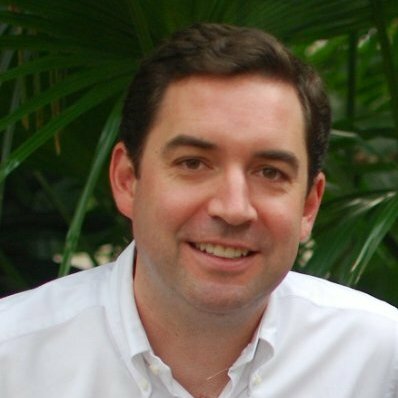 Don Nicholas, CEO of Mequoda Group, has guided the development of more than 110 successful niche media websites including Consumer Reports, HR Daily Advisor, Investing Daily, Johns Hopkins Health Alerts, Knitting Daily, Program on Negotiation at Harvard Law School and Vida Y Salud. He is an expert in new business development, digital publishing and Internet marketing. His team’s Mequoda Method books, reports and posts were downloaded more than 850,000 times last year. This year more than 100 publishing executives will complete his quarterly Digital Publishing & Marketing Intensive where they will learn his comprehensive system for digital publishing and marketing. Tagged with consumer reports, content, digital magazine, digital magazine publishing, Digital Magazine Publishing, digital publisher, digital publishing, internet marketing, Internet Marketing Strategy, internet marketing strategy, magazine, magazine publishers, magazine publishing, magazine publishing industry, managing editor, mary van doren, media, media websites, mequoda, mequoda method, multiplatform, multiplatform publishing, Multiplatform Publishing Strategy, publishers, publishing executives, publishing industry, publishing platforms, publishing secrets, publishing strategy, SEO, tablet, the new yorker, website traffic.